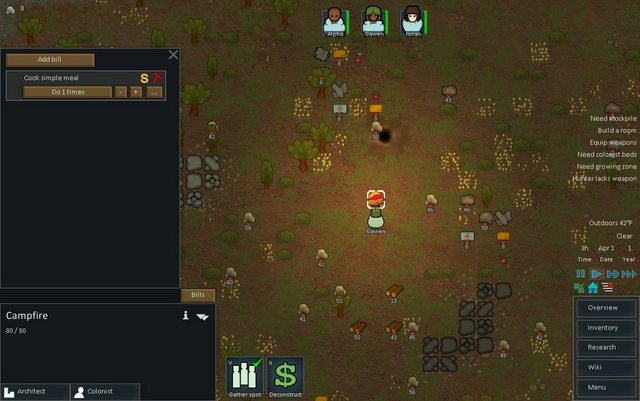 This is a mod that will either add an new type of campfire, or alternatively replace the vanilla campfire with one that is capable of producing simple meals. Whichever version you choose, the 'Cookfire' has all of the same stats as the vanilla campfire. You can build it to light up an area, warm up a room, and now cook simple meals with it. Replacer not recommended for use with other mods that use or modify the vanilla campfire. No animated flame 'flicker' like the vanilla campfire, uses static image.